Emotional trauma like PTSD may not be visible to other people, but it can completely alter your life. To seek financial justice, team up with a Boise PTSD attorney. Post-traumatic stress disorder, or PTSD, affects millions of Americans. PTSD commonly develops after you are placed in an extremely stressful environment, such as a battleground, but it can also occur as the result of any type of traumatic incident, such as a road accident or robbery. If you’ve been diagnosed with PTSD, the road to recovery may be long, but the law is on your side. 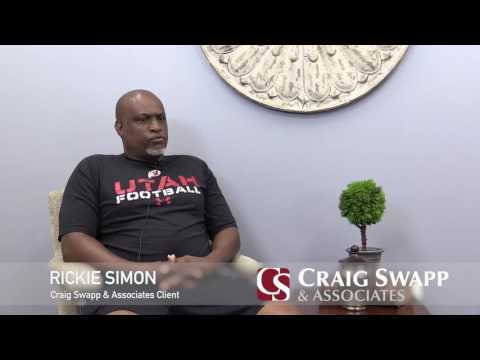 To partner with an understanding, qualified ally who can help you pursue the compensation you deserve, contact a Boise PTSD lawyer at Craig Swapp & Associates today. PTSD affects different people in different ways, which is why it’s important to highlight the symptoms you have experienced in your unique case. If you notice these or any other PTSD symptoms, it’s imperative to list them as you build your claim for compensation. In most cases, PTSD victims will sue parties responsible for the onset of their symptoms through the avenue of personal injury law. The statute of limitations for personal injury cases is two years in Idaho, meaning that you have two years from the date of your initial injury to bring forth legal action. To determine liability, Idaho uses a standard called modified comparative negligence, which makes it so you can recover damages as long as you’re not found primarily liable for the incident that caused your emotional trauma. Should your supposed share of the blame for your trauma amount to less than half, you are usually going to be eligible to receive a proportion of damages equal to the defendant’s liability. For example, a defendant who is 80 percent liable would owe you 80 percent of total damages. Essential to recovering damages is being able to prove that another party was negligent, whether that individual is a motorist or medical professional. A Boise emotional trauma lawyer can advise you on other steps to take before and during court proceedings. You’ll also want to clearly document how your symptoms have led to personal losses of a physical, emotional, or financial nature—whether in the past, present, or future. Examples of losses you may want to account for in your claim include medical expenses, lost wages, inability to work, emotional distress, pain and suffering, loss of consortium, lifestyle adjustments or accommodations, and worsened quality of life. A Boise emotional trauma attorney can help you formulate a claim that both factors in your current suffering and gives you recourse for any future consequences of your symptoms. Under particularly serious circumstances, you may even be eligible for punitive damages, which can greatly increase the value of your Boise injury claim. PTSD can easily turn your life upside-down, and that effect can extend to your family and other loved ones. If the emotional trauma you’re suffering from is the result of someone else’s negligent actions, you deserve compensation. For help as you pursue compensation, contact a Boise PTSD lawyer at Craig Swapp & Associates today. Give us a call at 1-800-404-9000 or fill out our online contact form, which you can find at the bottom of this page.